BikeBiz: How’s the year been? And how has it compared with 2012? Grant Hadwin: Citrus-Lime has had a great 2013, going from strength-to-strength. We’re very close to having a record year. We have definitely seen an upturn in new business and existing customers investing more in the development of their existing systems to go multi-channel. We’ve seen a great deal more investment from our customer’s in multi-channel retail and investing in areas such as Google PLA, Citrus-Store Mobile and pre-orders of our new Customer Rewards module. While bike shops are preparing for the quieter months over winter, this is one of your busiest periods isn’t it? 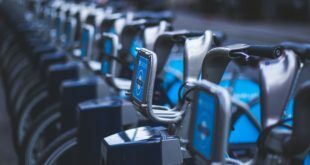 Absolutely, we always see an influx of business towards the end of the summer as they prepare to change and update systems over the quieter months of winter. Although due to the warm start to autumn we have seen our customers being a bit busier than usual at this time of year. We always try to get the message across when we are speaking to prospective and existing customers alike – if you want to commit to a large business operations project the best time to do it is over the quieter months. This isn’t always possible but with any IT project, planning and working with industry specialists is the key to a successful rollout. You’re going to be launching Customer Rewards at Core Bike. Can you tell us about that and how it will help bike shops convert sales? Our new Customer Rewards Module is going to tighten up the integration between in-store and online and it allows our retailers to give something back to their customers whilst working within the best interest of both retailers and the industry as a whole. We always encourage our clients to stay clear of heavy discounting as it can affect the brands and give the perception of being a discount store. By using the Customer Rewards module it allows the retailer to reward the customer for their loyalty without giving discounts on all items. The module is unique as it allows the customer to earn points based on spend (the rate of which is set by the retailer) and these points can be spent both in store and online. The customer will also gain access to www.customer-rewards.co.uk where they can check their points balance if the retailer does not have a Citrus-Lime Ecommerce store. Did the partnership with Bike Rental Manager come about with more bike shops offering hire bikes? Can you fill us in on how Citrus-Lime has linked up with BRM? We have been speaking to Doug at Bike Rental Manager for a while now and are big fans of the product. So when one of our clients began using the product and liked it, we looked into developing a partnership. Now we are happy to be in the early stages of working together and we can offer a hire module as part of our retail solution which already boasts dynamic integration to suppliers, Workshop Module, integrated ecommerce, multi-site Click and Collect, Citrus-Store Mobile, eBay and Amazon modules. 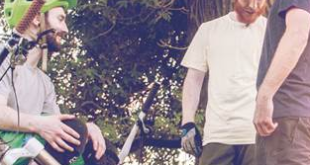 You’ve put together some high profile launches with the likes of Rutland Cycling’s new site. Can you fill us in on any other recent Ecommerce launches/news? Yes, we have recently launched Rutland on to the Citrus-Lime Ecommerce platform which has been highly successful for all parties involved. 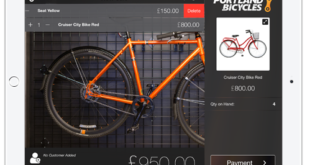 We have also launched Cycles UK’s Click and Collect Site, revamped Rat Race Adventure, E-Outdoor, Behind the Bike Shed, and a number of other projects including many more Citrus-Store Mobile projects. If you want to check out our latest Citrus-Store Mobile offering go to www.rutlandcycling.com on your smartphone and it will automatically jump to Citrus- Store Mobile.